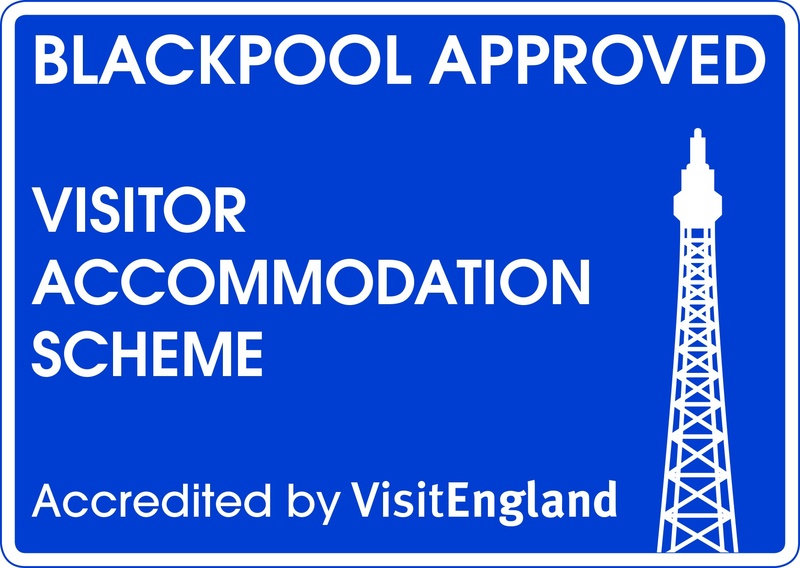 Accredited by the Blackpool Approved Visitor Accommodation Scheme, The Hartshead offers a warm welcome to families and couples. The guest house has 8 bedrooms, all en-suite and situated either on the first or second floor. All rooms have a 22 inch TV and tea/coffee making facilities. There is also free Wi-Fi and a licensed bar. There is a small car park at the rear of the property with spaces subject to availability on arrival. There is also free on street parking on all roads surrounding the guest house. All prices include a full English breakfast, which is served in our dining room between 8 - 10am. Toast, cereals, yoghurts and lighter options are also available. Check-in is from 3pm and check-out is by 10.30am. We own a cat but you are unlikely to see her as she is kept in our private accommodation whilst guests are staying. As we aim to provide a peaceful night's sleep for our guests, we are unable to accept stag/hen parties. Book direct and stay with us between 18-24 March 2019 and receive a free bottle of wine or box of chocolates in your room, PLUS book direct for another stay of minimum 2 nights and receive a £50 discount. Email us on: info@hartshead-hotel.co.uk or telephone us on 01253 353133 to book. 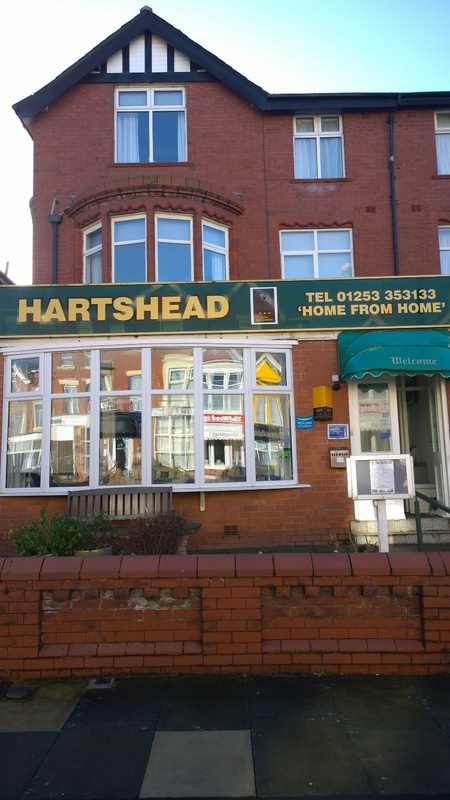 The Hartshead is located in the North Shore area of Blackpool, approximately 100 metres from the promenade where trams run regularly both into Blackpool and also north to Cleveleys and Fleetwood. There is also an excellent bus service to all areas. North Shore is a quieter area of Blackpool and is therefore the destination of choice by guests preferring a quiet night away from the hustle and bustle of the town centre. It is still only a short tram or bus ride into the centre of Blackpool, or if you prefer, a relaxing walk along the promenade. 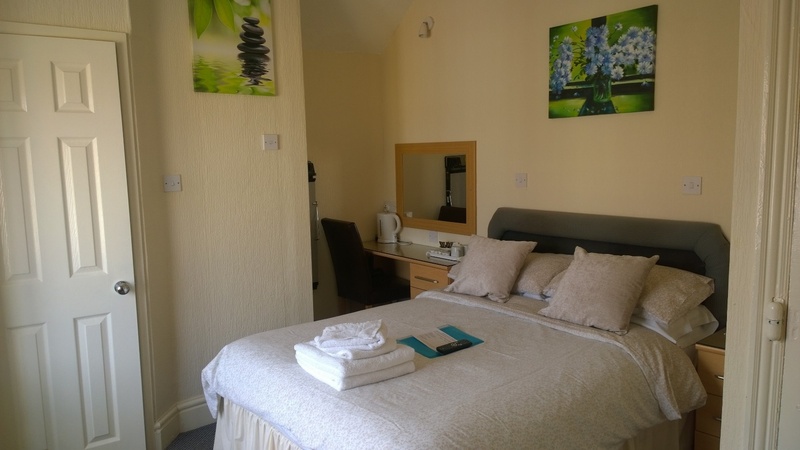 Situated on the first and second floors, our double rooms accommodate 2 people with a double bed, en-suite, tea & coffee making facilities, 22 inch TV, trouser press, hairdryer. Complimentary toiletries are also provided. We also have one single room available situated on the second floor. 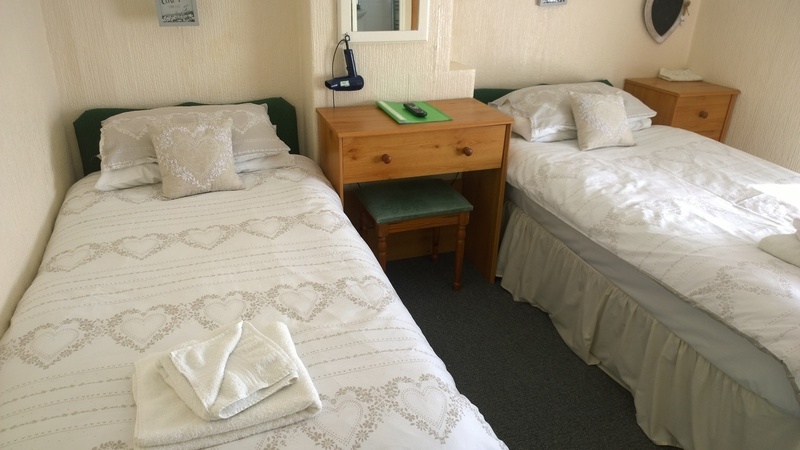 Situated on the first floor, our family rooms accommodate 3 people with a double and single bed, en-suite, tea & coffee making facilities, 22 inch TV, trouser press, hairdryer, dressing table plus table and 2 chairs. One of the rooms has a full size bath. Complimentary toiletries are also provided. Situated on the second floor, our family suite consists of 2 inter-connecting rooms for 2 adults (double bed) and 2 children (2 single beds). Both rooms have their own en-suite, 22inch TV and hairdryer. 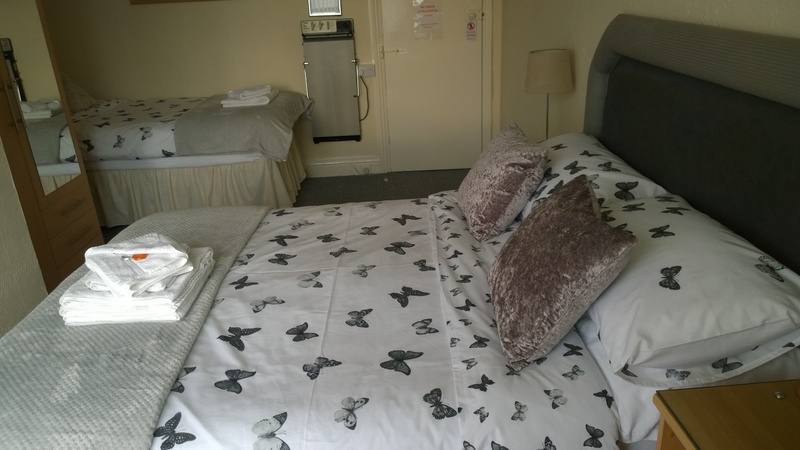 The parent's double room also has tea & coffee making facilities, dressing table and trouser press. Complimentary toiletries are also provided.